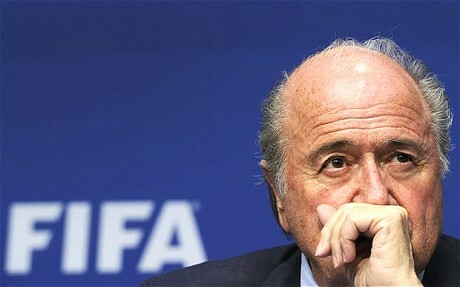 Over the past three awards cycles, FIFA has not only failed to definitively settle the best player question, it may also have crossed the well-trodden line between administrative incompetence and outright corruption. Players like Tomas Rosicky and Thiago Silva have claimed that their Ballon d’Or votes were somehow changed at the last minute, and Jose Mourinho has announced that he will no longer attend FIFA awards ceremonies because “one, two, or three people called me saying they had voted for me [in the best manager category] but the vote showed up cast for somebody else.” Mourinho suspects a conspiracy. And then last month, FIFA extended the voting period for this year’s Ballon d’Or, supposedly because many players had missed the original deadline. According to some tabloids, however, FIFA changed the deadline not to ensure that every eligible player votes but to help Cristiano Ronaldo, whose recent performances in World Cup qualifying have given new momentum to his Ballon d’Or campaign (yes, there is such a thing). I don’t think FIFA has rigged the Ballon d’Or: after all, no one at FIFA would profit if Ronaldo wins. It seems clear, however, that the awards process, with its changing deadlines and administrative mishaps, is as disorganized as, well, virtually every other FIFA program. And since FIFA’s incompetence is the inevitable result of a corrupt system that places incompetent people in important jobs, we shouldn’t dismiss the latest set of rumors. Mourinho’s complaints may be self-serving, but they also point up the justifiable suspicion that has hung over FIFA since the World Cup voting scandal. I don’t think FIFA has rigged the Ballon d’Or, but I wouldn’t be particularly surprised to hear that it had.